It’s hard to imagine two more contentious subjects than child-rearing and religion, nor two parties less likely to quickly and easily agree on a controversy than a divorced couple. Religion is an issue that may have caused strain on your marriage, but it unfortunately doesn’t always go away after a divorce if you share children with your ex. Raising a child within a particular faith often involves weekly services and religious studies classes. For some parents, following a religion extends to the type of education they want their child to receive, or could lead them to withdraw a child from school and instead home school them. Certain questions regarding divorced parents’ differences over religious beliefs and childrearing have been addressed by New Jersey courts. Religion is one of the “major” decisions under child custody law. This means that the parent with primary custody will be permitted to make the decision when parents disagree, but cannot force the other parent to act differently when the child is in their custody. One well-known New Jersey case titled Brown v. Szakal serves as an example. In that case, the mother was Orthodox Jewish, but the father wasn’t. She wanted her children to follow Orthodox dietary rules when they were in their father’s custody, but the father refused to comply. When the mother attempted to have the court order the father to comply, the judge refused, ruling that those rules couldn’t be imposed on the father. Before having children, many couples of differing faiths discuss how they’ll handle religion and child-rearing, but never put those decisions in writing. During a divorce, some couples raise these oral agreements, seeking to have the court enforce them. However, the agreements rarely have the detail necessary to become an enforceable court order, and parents may not agree on whether the oral agreement ever occurred. Many couples include terms on how their child should be reared in a faith in their written divorce settlement agreements. Judges will generally enforce these written agreements when it appears that parents agreed to them freely and knowingly. 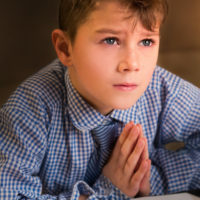 No matter how many court cases address the issue, however, answering questions on how a child will be raised when parents disagree over religion will never be easy. Seek out a family law attorney with skills in conflict resolution and divorce mediation to help you reach an acceptable agreement with your co-parent. For assistance with issues related to your New Jersey divorce or custody dispute, contact the dedicated and knowledgeable Union family law attorney John B. D’Alessandro for a consultation, at 908-964-0102.